Comparing is the root of all envy. If you can get rid of comparing in your life, you can get rid of envy in your life! 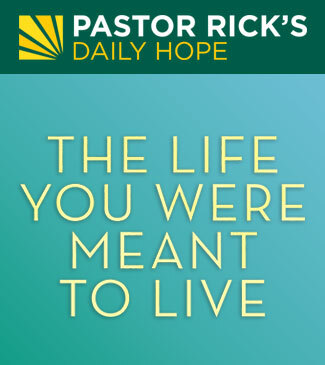 Join Pastor Rick for this broadcast as he shares how God has called you to be the best you can possibly be given the background, experiences, and talent that he gave you.